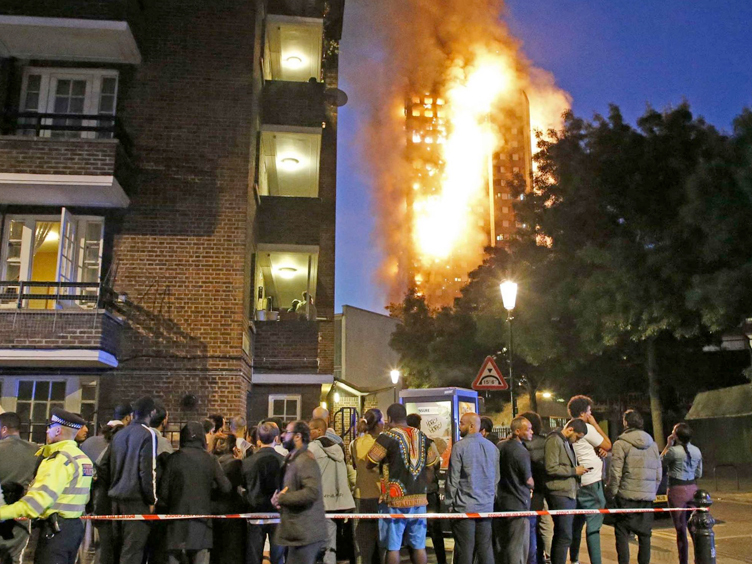 A report investigating the cause of the Grenfell Fire has been leaked to the Evening Standard newspaper, describing huge failings in fire safety adherence which led to the spread of the fire that claimed 71 lives in June 2017. Gaps that fanned fire: Cavity barriers designed to seal the gap between the concrete surface and cladding in the event of the fire were of insufficient size, with gaps exceeding their design capability by up to 50%. In addition, some of the cavity barriers were incorrectly fitted upside down or back to front. These errors culminated in a chimney-like effect that allowed the fire to spread so rapidly. Window frames that spread the flames: The report identifies that the replacement of the original windows and window frames left gaps of 150mm between them and the concrete surfaces of the columns and were filled with materials that did not provide sufficient levels of fire resistance. This allowed the initial fire to spread to the cladding outside via the windows. Combustible insulation: The insulation used is described as combustible, and “provided a medium for fire spread up, across and within sections of the facade”. Flammable Core: The aluminium composite material used on the façade appears to have had a “highly combustible” plastic core, which may have supported the spread of the fire across the façade. Lack of door closers: A number of flat doors did not have door closers, which is against building regulations, and led to front doors inadvertently being left open whilst people fled the building. This led to the spread of smoke and fire and will have impacted on the life chances of those attempting to escape via the main stairwell. In the event of a fire, when fire doors close correctly, it can support the compartmentalisation of the fire for a certain amount of time, increasing the chances of escape. The report also highlights there was inadequate access for fire engines with only one appliance being able to locate next to the dry rising mains inlet. A single fire engine would be unlikely to provide sufficient water pressure for fire-fighting at the upper floor levels. For further information on the report, please visit https://www.standard.co.uk/news/london/shock-grenfell-dossier-reveals-disastrous-refurbishment-turned-tower-into-a-tinderbox-a3814866.html.